Moukarzel Architecture’s perception of Architecture is where arts and science unite in synthesis, drawing the integral of multiple components concerning society, ecology, patrimony both material and immaterial, as well as the latest achievements in technology. Such an architecture is drawn by a vision that favors pragmatic behavior as a process, to reach for optimal and sustainable results as an end achievement. 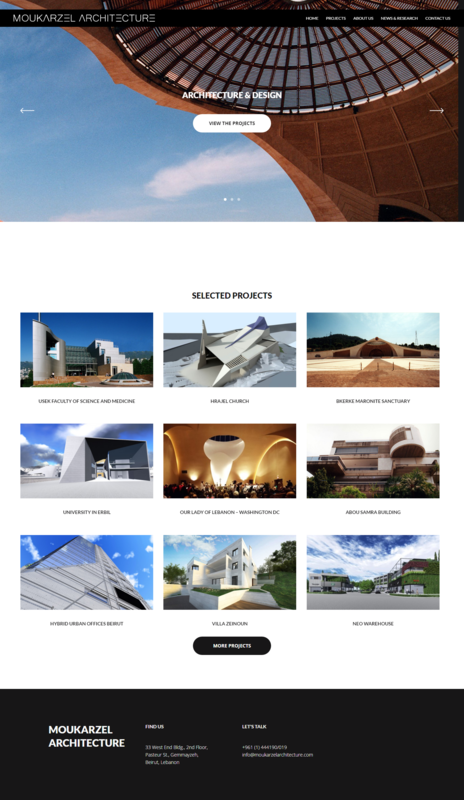 Moukarzel Architecture launched its responsive website in 2015 based on WordPress CMS.